Telling time is a difficult skill for second and third graders. 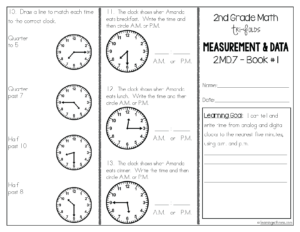 When students get to third grade, teachers will focus on telling time to the minute and solving elapsed time problems. 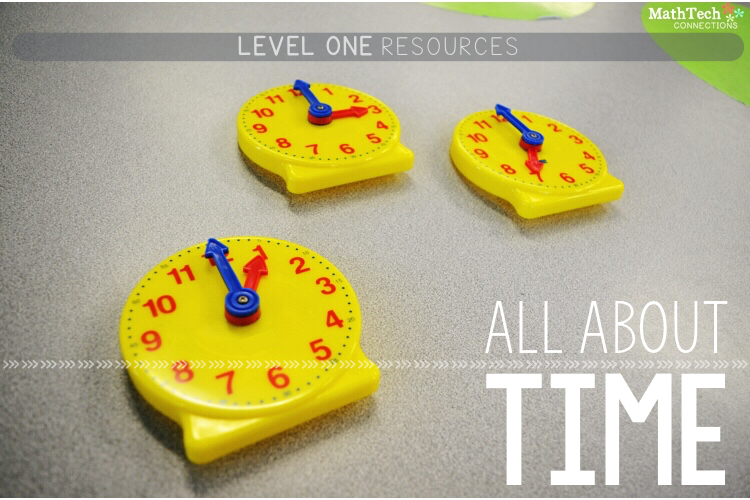 To complete these challenging tasks, students need to have mastered the basics of time. 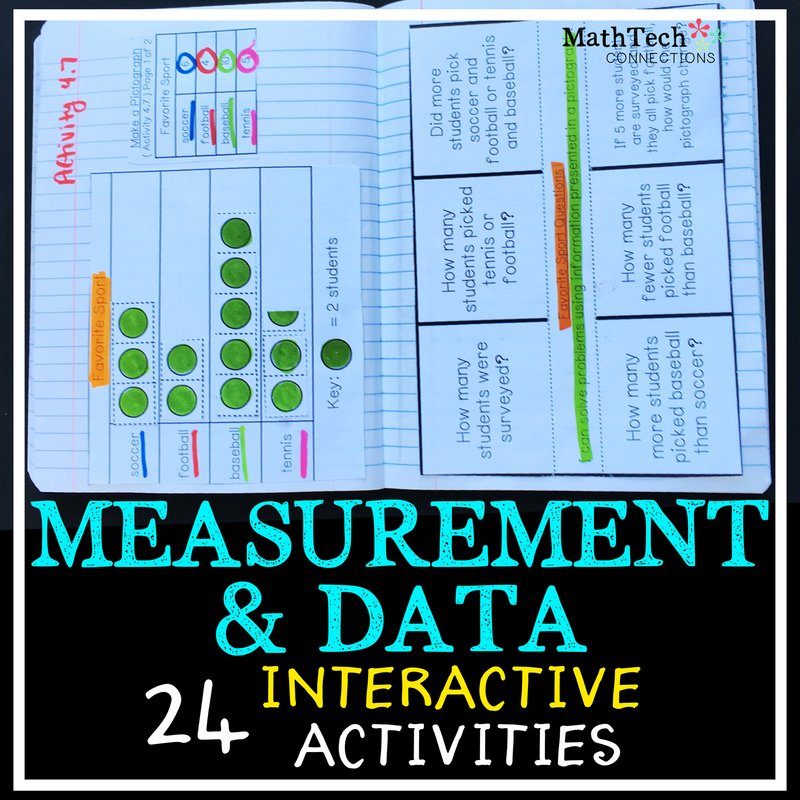 Below is a list of ideas and resources you can use in your classroom to help your students master the basics. 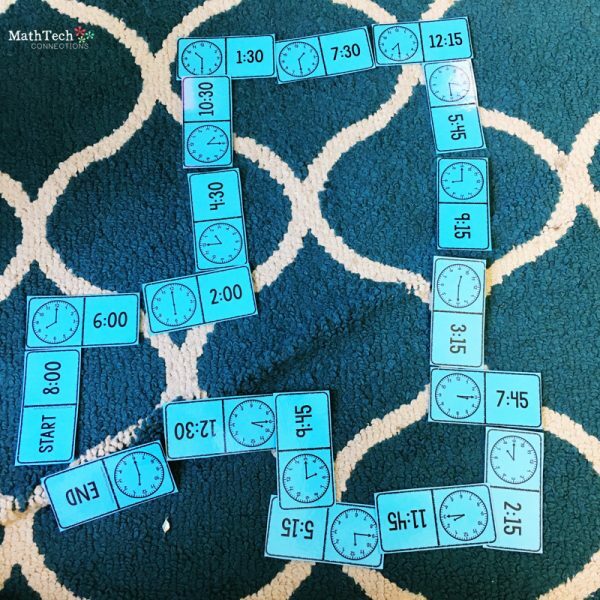 Have small analog clocks available for students to use during your math unit, morning work, or math centers. During the first week of school, introduce the classroom schedule using the analog clocks. Students read when math starts (9:00) and then show nine o’clock on their clock. You can find many different kinds of analog clocks online for purchase. 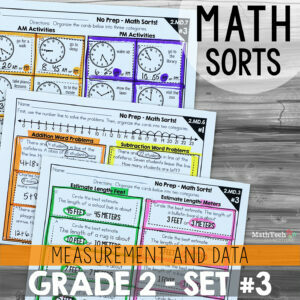 You can also print a class set or have students make them. Dominoes games are lots of fun! 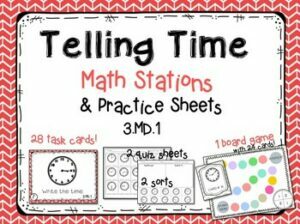 Students practice telling time to the hour, half hour and quarter hour with this fun math center. 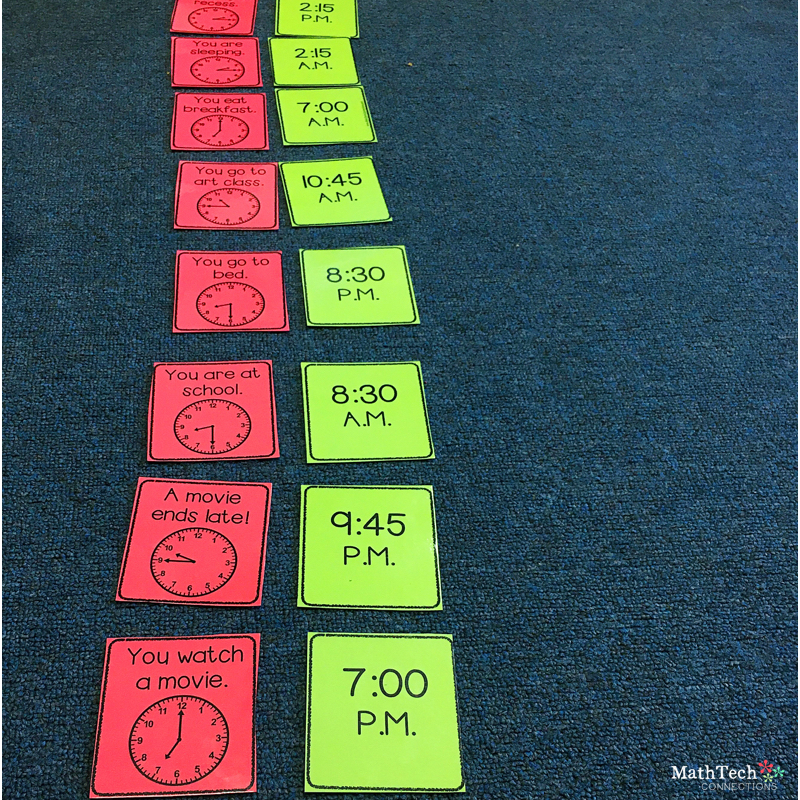 Matching games are a great way to practice A.M. and P.M. Students have to match the time with the activity. 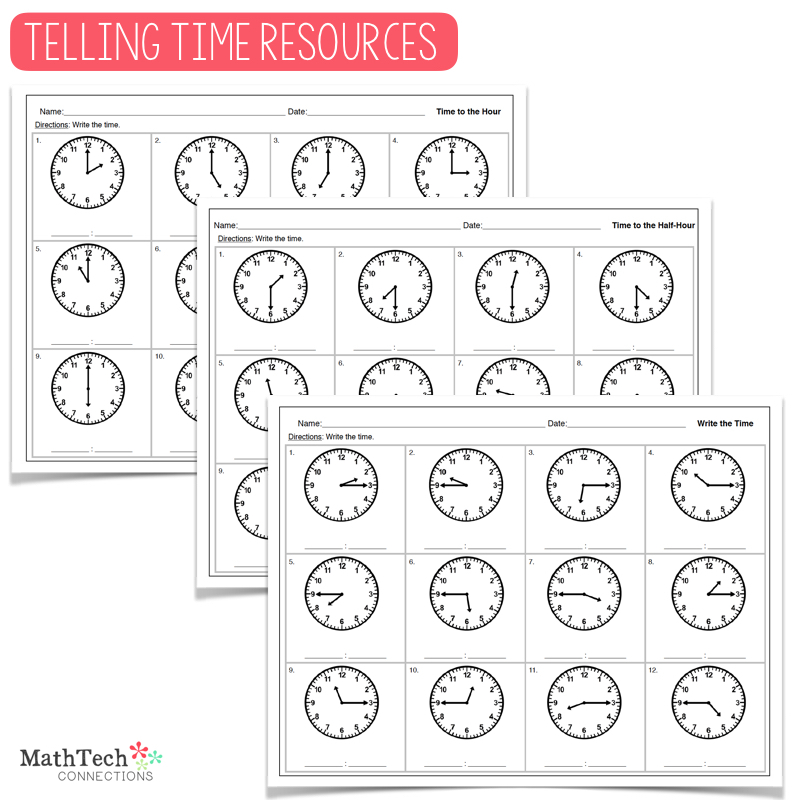 These basic time printables can be used as pre and post assessments. FREE Time Game Websites are lot of fun! 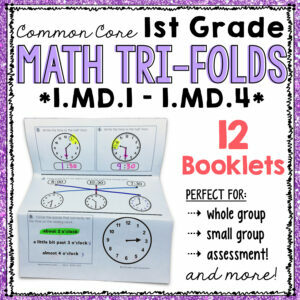 Time Resources on TPT will help save you time! Wauw this is great! I’m going to use this next week in my internship 🙂 Thanks a lot!